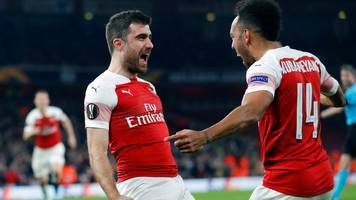 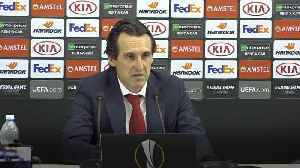 Unai Emery was proud of his Arsenal players after they reached the semi-finals of the Europa League with a 1-0 victory away at Napoli. 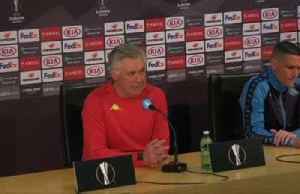 Napoli coach Carlo Ancelotti says his team need to show more determination if they are to overturn their 2-0 first leg defeat against Arsenal. 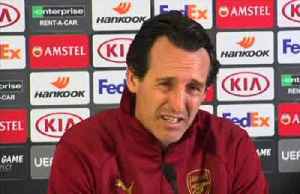 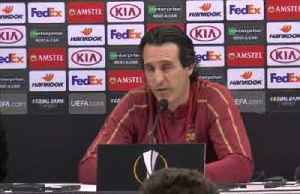 Arsenal manager Unai Emery says his team won't sit back and defend a strong first leg lead and will seek to get a win in the second leg against Napoli. 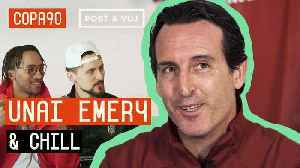 Arsenal manager Unai Emery sits down with Poet, Vuj and Timbsy to discuss his first season at Arsenal, the beginning of his career, who he thinks has improved the most and more in an exclusive..
Europa League quarter-final draw: Who did Arsenal and Chelsea get? 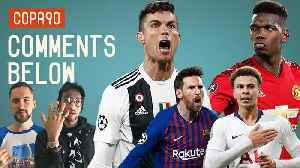 A look at who drew who in the Champions League quarter-final draw - with the two London clubs kept apart until a potential clash in the final. 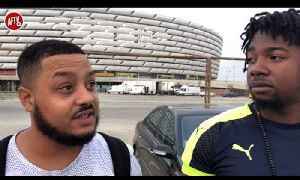 Qarabag vs Arsenal | Troopz & DT Put Money On The Line! 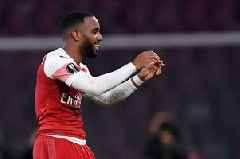 | Europa League Preview Ft Lumos AFTV winner of The Best Overall Football Content Creators at The 2018/19 Football Blogging Awards AFTV is..